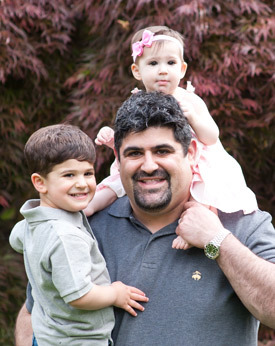 South Brunswick chiropractor Dr. Adam Grossman considers himself fortunate to be a second generation chiropractor. Dr. Grossman’s father, who is still an active practitioner, introduced his son to chiropractic at a very early age. Receiving routine chiropractic care as a young athlete helped Dr. Grossman bounce back from his injuries more quickly. He also credits chiropractic care with keeping him fit enough to avoid more serious injury. Throughout his life, chiropractic care has allowed him to maintain a general sense of wellness. As an athlete and avid sports fan, the idea that chiropractic can successfully treat a wide variety of ailments, including sports injuries, helped push Dr. Grossman toward a career in the field. He is grateful to be involved in such a hands-on profession, talking with patients rather than sitting behind a desk. Dr. Grossman believes that chiropractic is one of the few professions where, as the doctor, he has the privilege to really get to know his patients, listening to their concerns and impacting their health in a meaningful way. Pain prevents people from doing what they love, but when they’re healthy and feeling good, they’re able to enjoy life to the fullest. Working with patients to eliminate pain and restore wellness is one of the biggest benefits of his job – seeing people get back to their lives is truly a gift! Growing up with chiropractic is only part of what makes Dr. Grossman uniquely qualified. He also served as president of both his class and his professional fraternal organization while studying chiropractic at National University of Health Sciences. Holding these leadership positions afforded Dr. Grossman the opportunity for additional hands-on experience in patient care while still in school. Dr. Grossman was also one of just a few students in his class to earn a community-based internship, rather than interning at the school-owned clinic. This prestigious internship gave Dr. Grossman a chance to work alongside a practicing chiropractor in a clinic in downtown Chicago. In addition to observing the chiropractor, Dr. Grossman was able to work with a diverse patient population and gain insight into the day-to-day business of running a practice. Now, in practice for himself, Dr. Grossman continues his tradition of leadership. He is a member of the Association of New Jersey Chiropractors (ANJC), as well as the ANJC Sports Council. Since May 2014, Dr. Grossman has been a certified medical examiner for the New Jersey Department of Transportation, performing physical examinations for candidates pursuing commercial driver’s licenses. 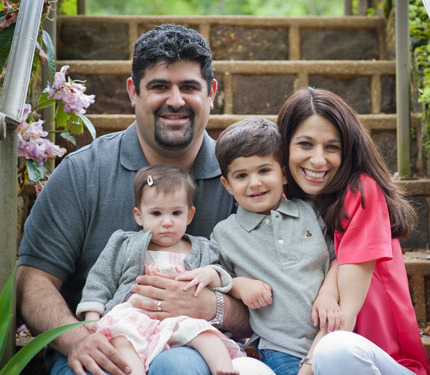 Dr. Grossman enjoys spending his free time with his wife Renee, their son Myles, and their daughter Sydney. Though he no longer plays football, you may find him fishing from time to time. He also enjoys watching a variety of sporting events and will serve as coach for his son’s soccer team. Grossman Chiropractic & Physical Therapy invites you to browse our site and learn more about Dr. Grossman and our practice. Ready to schedule an appointment? Call our office today. We look forward to hearing from you.